It is a truth universally acknowledged, that a knitter in possession of a single handknit sock, must be in want of its mate. It is a sad fact, however, that many knitters fall to the dreaded “Second Sock Syndrome” and are unable to cast on for that second sock. The cure for this ill is simple: knit socks Two at a Time! Knitting socks two at a time is exactly what it sounds like. This can be accomplished using the magic loop technique (knitting both socks on a lengthy circular needle) or using 2 shorter circular needles. 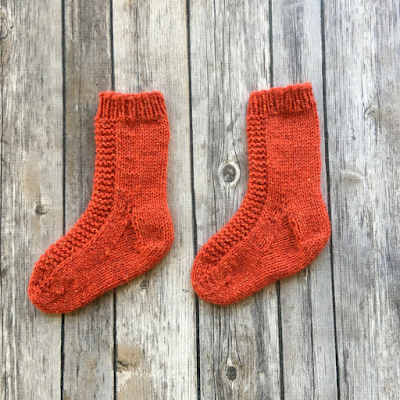 For the purposes of this post, we’re going to use a free pattern on Ravelry, Rye by Tin Can Knits, to demonstrate how to knit socks two at a time. We’ll be knitting the socks in the Toddler size, but if you don’t have any children’s feet to cover, you could practice this technique and knit a warm pair of socks for yourself. 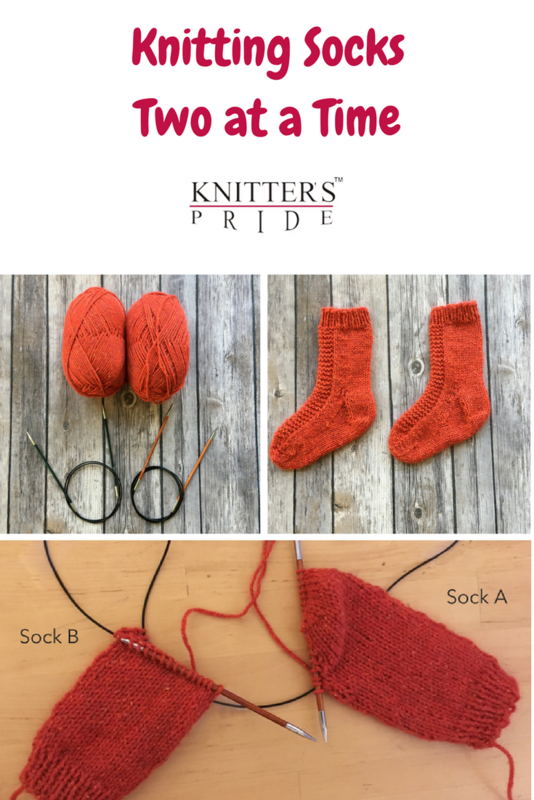 This post assumes basic knowledge of sock terminology and techniques; if you are new to sock knitting, check out the Learn to Knit Socks video series from Very Pink Knits. We’ll be knitting our socks on magic loop, but you can also find more information on knitting socks on two circular needles on VeryPink.com. If you haven’t used the magic loop technique before, you can read a little more about it on Craftsy. Rye is written as a top down sock pattern, meaning that we will start at the cuff and work down the leg, through the heel, and then through the foot and toe. Of course, you can apply the Two at a Time technique to toe-up patterns as well! Before you start knitting, we find it helpful to divide the yarn you will be using into two separate balls, one for each sock. While you can knit from both ends of the same ball of yarn (ninja magic! ), it will be easier to have two separate balls of yarn for your first time trying this technique. Casting on is a little tricky, but once you practice this technique a few times you’ll understand how everything fits together. You will begin by casting on half your required stitches for Sock A using your first ball of yarn. Next you will slide these stitches down your needle. Using your second ball of yarn, you will now cast on the full number of required stitches for Sock B. Slide the stitches for Sock B down the needle. Now you will bend the cord of the needle in the middle of your stitches for Sock B and pull it out slightly, so that half the stitches will be on one side of the loop you have created and half the stitches will be on the other side of the loop. Are you still with us? Finally, you will cast on the second half of the required stitches for Sock A. Phew! You made it! Step 2: Joining in the round. Now we’re going to get ready to join in the round. You will begin by pulling your back needle and your yarn for Sock A around to the front needle. Being careful not to twist your stitches, you will join your yarn for Sock A and knit across the first half of the stitches for Sock A. Next you will pick up the yarn for Sock B, and again being careful not to twist your stitches, you will knit across the first half of the stitches for Sock B. Turn your work and rearrange your needles. This time you will work first with yarn for Sock B, and knit across the second half of the stitches for Sock B. Then you will pick up your yarn for Sock A and knit the second half of the stitches for Sock A. Turn your work again, and you are back at the beginning of your round! You will continue to work both cuffs of your sock in this manner, completing rounds on magic loop, until you are ready to begin your heels. You can work whatever heel you choose using the Two at a Time technique. In Rye, the pattern calls for a heel flap and gusset. 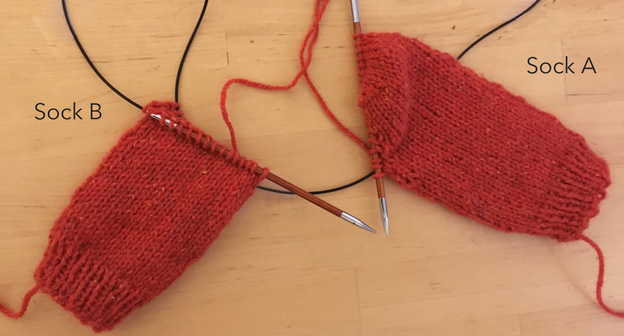 The key to knitting heels using the Two at a Time method is that working the heel is the only time during the knitting of your socks that you will be working each sock by itself. Now you will repeat the same process for Sock B by working the heel flap and heel turn per pattern. Then you will knit across your heel stitches and proceed to pick up the gusset stitches for one side of Sock B’s heel flap. 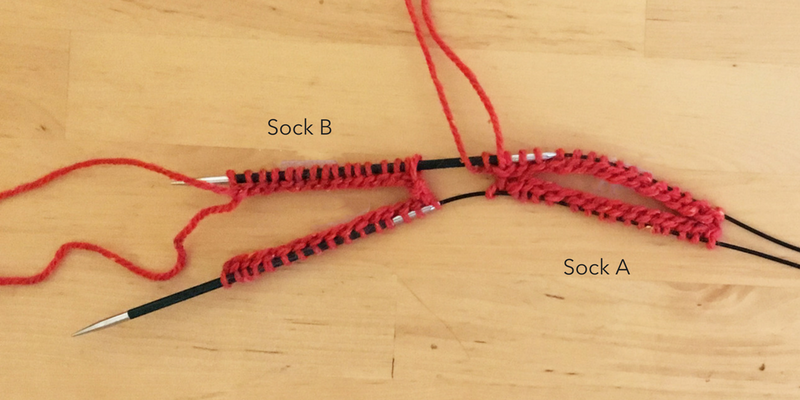 You will now begin working in the round again by knitting across the instep (top of foot stitches) for Sock B, then repeat the same for Sock A. Finally, you will pick up the second half of the gusset stitches for Sock A, and then knit across the heel and previously picked up gusset stitches. Complete the same for Sock B. Your heels are almost done! You will continue to work around the loop as you did with the cuff, working half of each sock in the same manner as before. The only difference is that you will be decreasing your stitches at the beginning and end of the stiches on the heel side of the sock (creating your gusset) until you arrive back at the original number of stitches (half on each side of the needle). Step 4: Feet and Toes. The feet of your socks and the toes are worked the same way as the cuffs: for the foot, you will continue working your socks in the round as you have before until you reach the desired length. When you knit the toes, you will continue in the same manner while decreasing stitches on both sides of the needle (both the top and bottom of the sock) to create your toe. To finish your socks, you will cut the yarns after your last round, leaving tails long enough to use the Kitchener Stitch to graft each toe closed. You will complete this final step one at a time as well. Congratulations! You just knit your first pair of Two at a Time Socks. 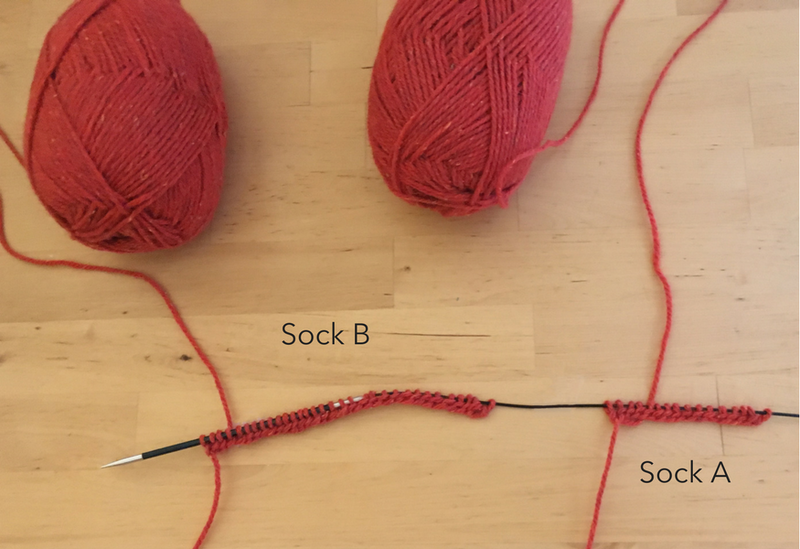 It is very easy to get confused between your two balls of yarn and accidentally knit across your needle using only one yarn, rather than one ball each for Sock A and B. Keeping your sock yarns contained by placing one ball on either side of you as you work can help; you may wish to invest in yarn bowls or dispensers to hold your skeins or project bags to keep your yarns separate. In a pinch, placing each skein in a ziplock bag will do! It is also a good idea to untangle those balls of yarn every few rounds so they don’t get hopelessly twisted. This can also be accomplished by alternating the ways in which you turn your work, but if that’s too complicated, untangling the balls will do. When you drop your yarn to pick up the next yarn for the next sock, drop it in back of your work. This will mean that your yarn is waiting there for you when you turn your work (If you forget to do this, you can pull your yarn to the correct side of your work, but you’ll have to be careful not to create an extra yarn over by accident.). Make sure that you pull your joins taut. Each time you start a new side of the sock, make sure that you pull the yarn snugly on the first stitch worked to avoid unsightly ladders. 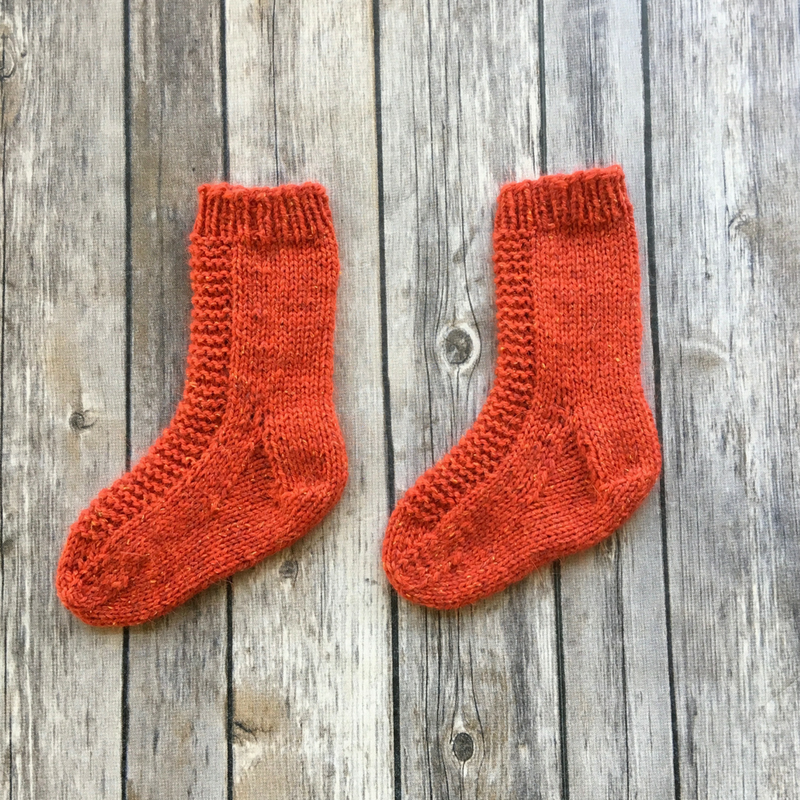 We’d love to see your Two at a Time sock projects in our Ravelry group or on Instagram (be sure to use the#knitterspridehashtag when you post!). 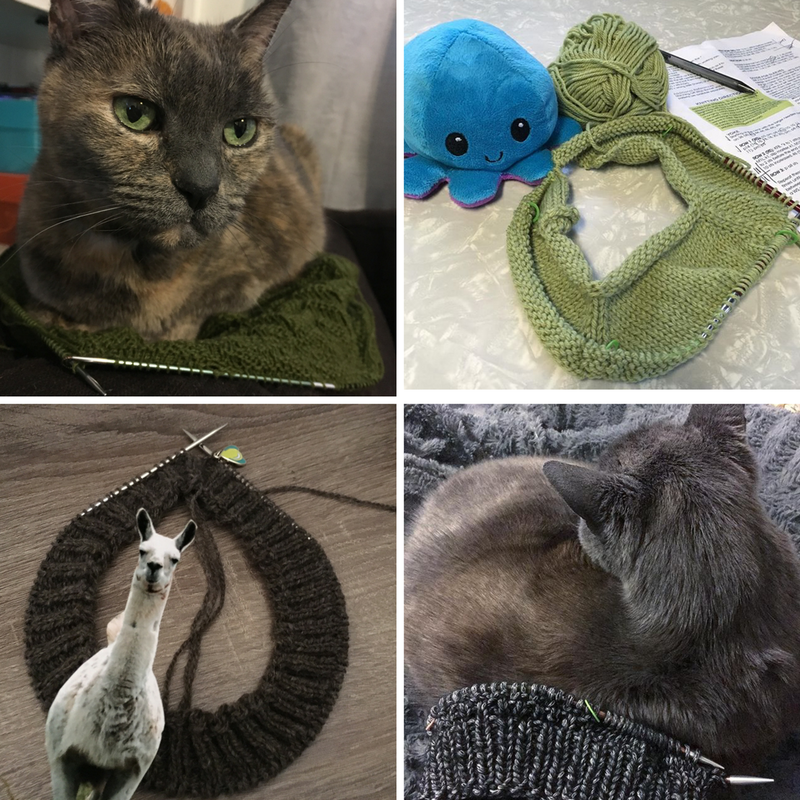 Be sure to also check out our Crafty Pets photo contest that is happening now through April 20 - click here for more details! Do your furry friends like to "help" with your knitting or crochet projects, or photobomb your work in progress (WIP) and finished object (FO) photos? 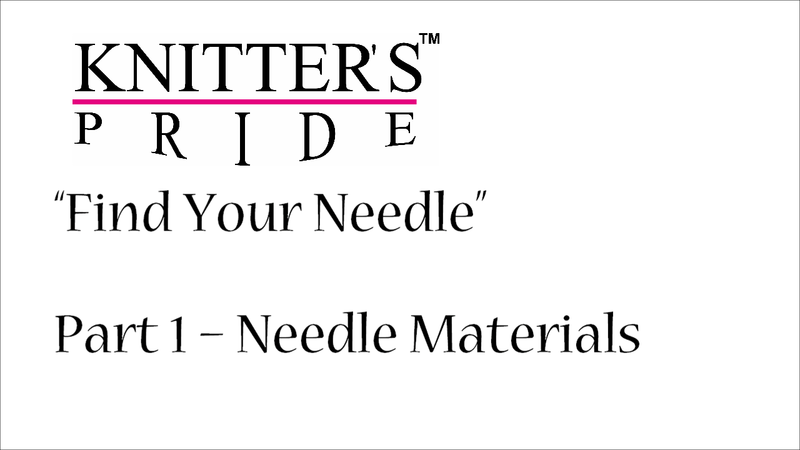 We'd love to see your best photos Knitter's Pride products and your animal friend(s). Don't have a pet? We encourage you to get creative for your submission - only your imagination should limit you! Take a photo of your favorite Knitter's Pride products (WIP and FO projects are welcome!) with your pet or animal friend. Any craft counts! 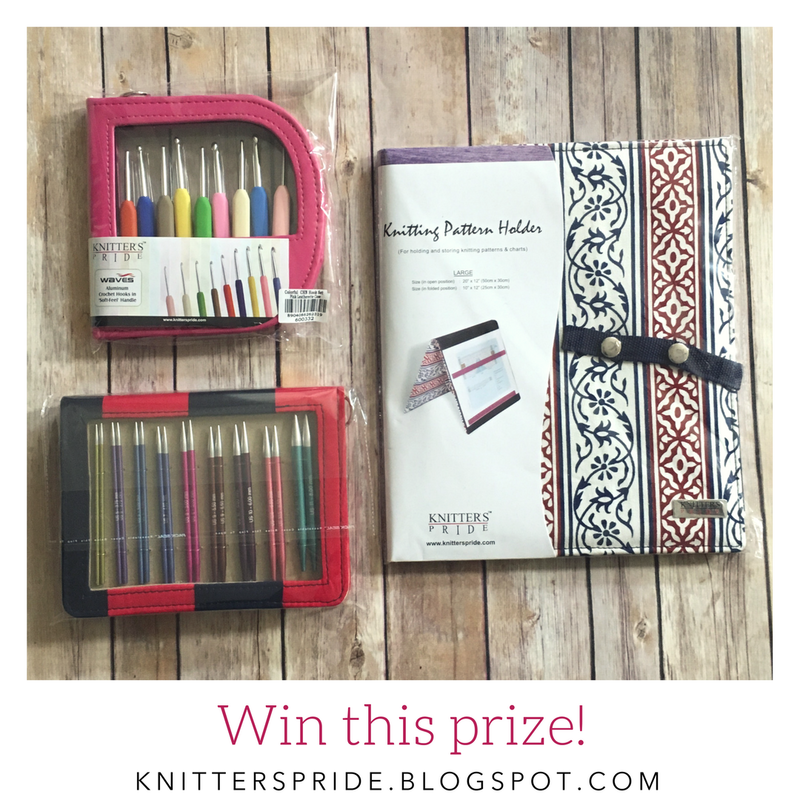 Post your photo here on Ravelry to be entered in our grand prize drawing (note: 1 photo entry per person, multiple entries will not count towards grand prize drawing). 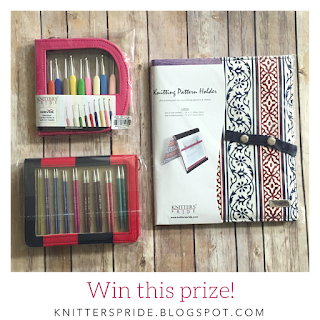 1 lucky winner will be chosen at random to receive a Large Navy Pattern Holder and their choice of either a Deluxe Zing Interchangeable set or a Waves Crochet Set. We'll announce our grand prize winner here on this blog on Friday April 27 - all photos posted between now and April 20 will be eligible for the prize drawing. Hint: we may award other prizes for originality, too! 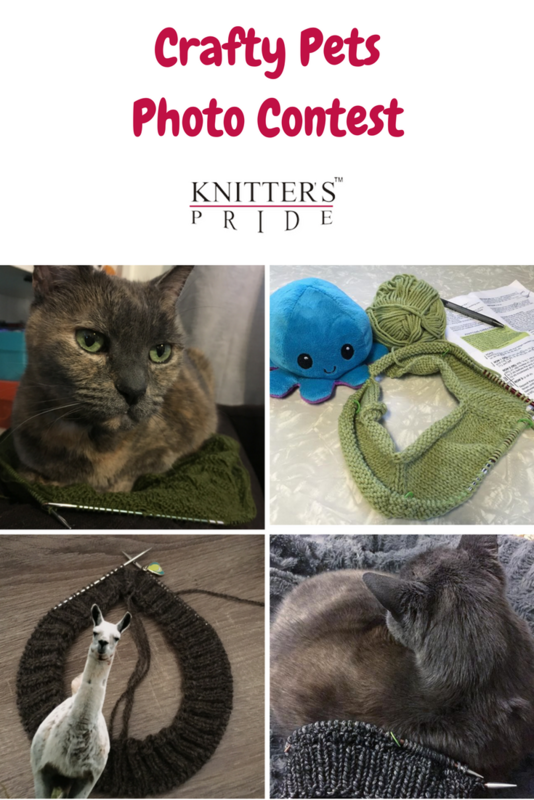 We'd love it if you'd also share your entry on Instagram using the #KPpetphotocontest and #knitterspride hashtags to help us spread the word (we may even repost your photo to our Instagram feed with credit to your account), but posting on Instagram is 100% optional! Also, congratulations to Raveler MemorableOne, the winner for last month's giveaway!